One useful byproduct of this increased adoption has been that industrial spaces have become data-rich environments. Automation has inherently required the installation of sensors and communication networks which can both double as data collection points for sensor or telemetry data. This particular manufacturing AI solution was able to quickly recognize faulty pieces so the machine operators could remove them from the process thereby reducing the work that the quality assurance team had to handle and leading to saved material and less real work hours spent detecting or correcting faulty pieces. Maya HTT is a team of specialized engineering professionals offering advanced services and products for the engineering and data center world. As a Platinum level VAR and Siemens PLM development partner and OSIsoft OEM and PI System Integration partner, Maya HTT aims to deliver total end-to-end solutions to its clients. This article was sponsored by Maya HTT, and was written, edited and published in alignment with our transparent Emerj sponsored content guidelines. Learn more about reaching our AI-focused executive audience on our Emerj advertising page. Implementing artificial intelligence into an existing business is about more than algorithms. 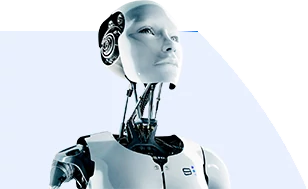 In fact, many AI researchers believe that algorithms are the easiest part of an artificial intelligence implementation.